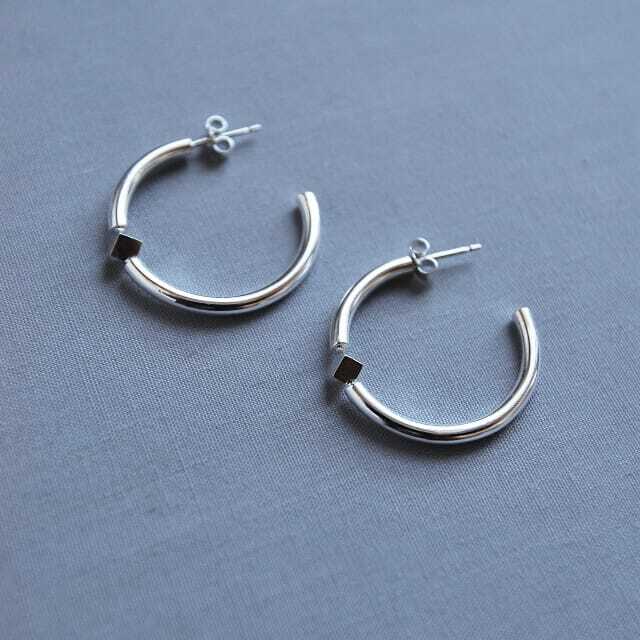 Sterling silver hoop earrings with an intricate cube detail. Taking inspiration from the leading theme of my large scale work, this piece references my interest in the cube as a form. The unusual positioning of the cube in the piece references a tension setting traditionally used for setting stones. 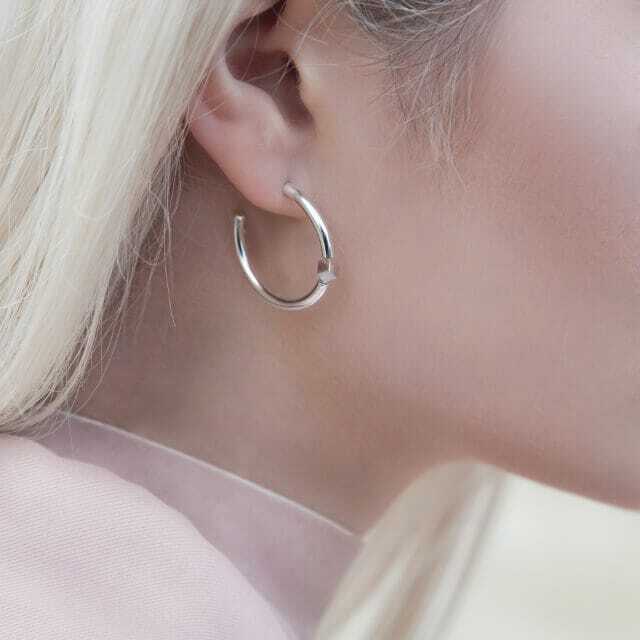 These earrings continue my exploration of using traditional techniques with an innovative approach.